No innovation can truly replace the time-honored traditions of hand-woven rugs crafted in the vast regions from Persia to India. We are proud to bring you stunning finds from these exotic locales. The name “Bokhara” comes from the Uzbekistan city of Bokhara. A century ago, their weavers, the `Turkomen tribe’s people took rugs similar in design to those produced today featuring the world famous Elephants foot design, to be bartered for goods. Over time, many examples of these traditional Turkomen designed carpets accumulated and eventually the name of the city became associated with the rugs themselves. For centuries Persian carpets have been appreciated for their fine craftsmanship and high quality. These beautiful and unique handmade Persian rugs can be found in numerous shapes and sizes depending on where and who manufactured them. There are carpets for all tastes, from large carpets knotted in workshops to lively patterned village carpets and charming nomadic carpets. We hold a large selection of Fine Silks and Wool and Silks from Iran, Turkey, China and India some with over 1,000,000 knots per square meter. The Oriental Kelim carpet is mainly woven by nomads, and is extremely versatile. You can hang a Kelim on a wall to give your home an Oriental feel. Or why not lay it on your bed, the floor or a table, or use it as a picnic blanket? 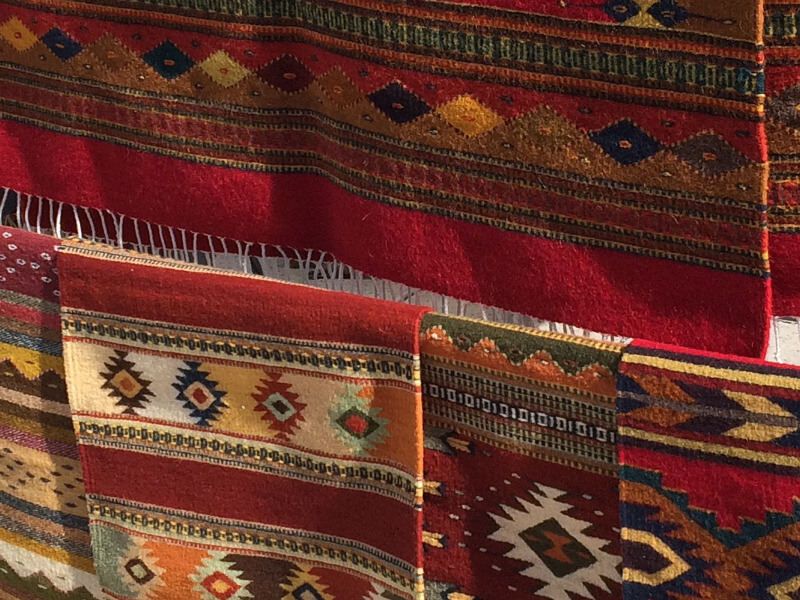 The pattern is often geometric, being limited by the weaving technique, but sometimes features knotted-in details and pile. Runners are a perfect floor covering for stairs and hallways. At Kelaty, we offer a vast amount of runners in varying standard sizes. Some runners can be made up bespoke to the exact size you need. At Kelaty we pride ourselves on our outstanding collection of Tribal rugs from all over the world. These rustic carpets are knotted by nomadic tribes that use wool from locally raised sheep, and dyed using natural vegetable dyes. The nomads acquire their inspiration from their natural surroundings and this results in a great deal of variety, personal charm and artistic expression. Using classic Zeigler designs made by master weavers from handspun wool yarn. Hand washed with an antique finish for an authentic look and feel. In 1883, Zeigler and Co. of Manchester, England, established Persian carpet manufacture for the Western market. Using highly developed dying techniques and the best artisans from the region, Zeigler created rugs with bold, all-over patterns and with softer palettes than the more vibrant Persian counterparts. The intentional lack of a central medallion lends these highly decorative designs to todays more contemporary demands.